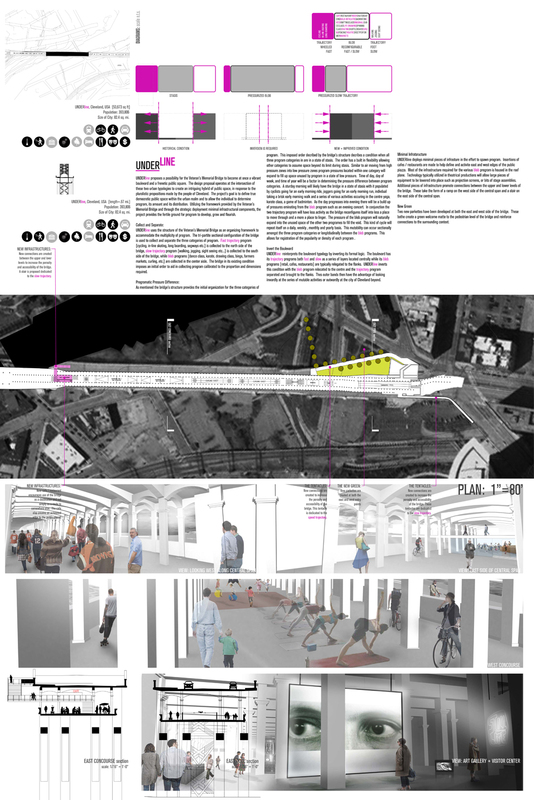 Overview: UNDERline proposes a possibility for the Veteran’s Memorial Bridge to become at once a vibrant boulevard and a frenetic public square. 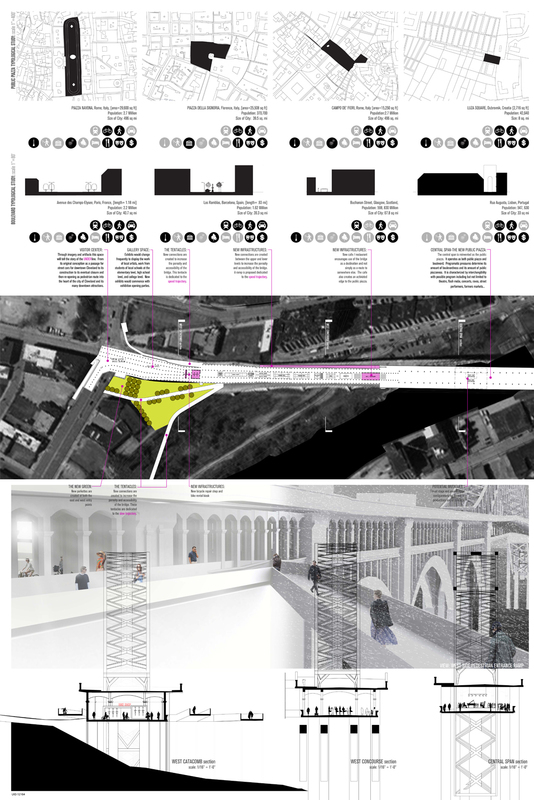 The design proposal operates at the intersection of these two urban typologies to create an intriguing hybrid of public space, in response to the pluralistic propositions made by the people of Cleveland. 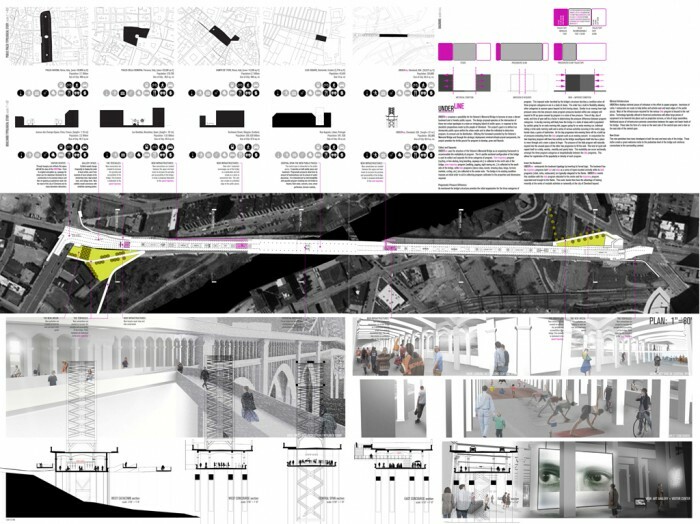 The project’s goal is to define true democratic public space within the urban realm and to allow the individual to determine program, its amount and its distribution. Utilizing the framework provided by the Veteran’s Memorial Bridge and through the strategic deployment minimal infrastructural components, the project provides the fertile ground for program to develop, grow and flourish.